It eats fire, and it gets pinker the warmer it is. 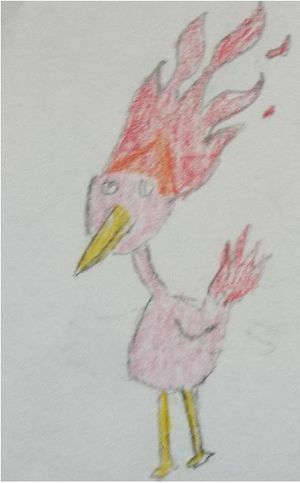 Flaminggo, the Summer tuxemon, is a Fire-type monster. This page was last modified on 24 February 2019, at 11:33.